To update your profile or add a new photo, scroll to the bottom of this page and use the 'Update Profile' form. Items with an asterisk (*) are required. _Mel Lockhart was privileged to attend BBCS from K5 through 12th grade. Jenny began attending in 9th grade, and they both graduated in 1996. They were married in 1998 and now live in Shelby, NC. God has given them five wonderful children to rear for His glory. Because of the spiritual emphasis at Bible Baptist in both the school and the church which led them to trust fully in Jesus Christ, the couple always had the desire to serve Him. Even while they were at Bible Baptist and serving at the downtown Atlanta Rescue Mission, God began preparing them for what they now know is a life of service in the inner cities among the poor and needy. For the past three years, they have been involved in a local rescue mission and seeking God’s leading as they work through a local church to plant an inner-city church. It is their desire to see a church in a forgotten city that reaches those who are the most forgotten such as the drug-addicted, poor, and homeless. Mel says, “BBCS was a place where we learned biblical truths that have directed our paths, such as James 2:5 which says: Hearken, my beloved brethren, Hath not God chosen the poor of this world rich in faith, and heirs of the kingdom which he hath promised to them that love him? “We are so very thankful for those at BBCS who invested in our lives with eternal truths that transform,” Mel continues. ​I graduated from Pensacola Christian College in December 2008. Since then, my husband and I lived in Asheboro, NC, for 6 years, where he was the youth/music pastor and I was the volleyball coach. In August 2015, we both started working at PCC. He started in the promotions department, but this summer began working in the alumni and career services departments. I work part-time in the Records office, and just this semester started working as the assistant cheerleading coach at the Academy. We have two beautiful children: Wesley is 5, and Kelly is 2 (will be 3 in January). God has been good! 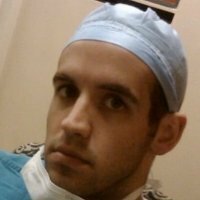 Chris graduated from BBCS in 2002, and from Griffin Tech in 2007 with an Associates in Radiologic Technology. He spent 5+ years working as an x-ray tech at Southern Regional Medical Center. In 2011 he left the clinical environment after receiving his Bachelors of Science in Information Technology from Clayton State University. After graduation from CSU Chris accepted a position at Verizon Business and in late 2012 returned to McKesson Provider Technologies in Alpharetta, where he had previously interned. He is currently employed in McKesson's corporate technology office as a business analyst. Most recently Chris has been accepted into the graduate program at Southern Polytechnic State University and will begin his Masters of Science in Information Technology in January of 2014. He currently lives in Duluth. In his free time he enjoy programming and running and is looking forward to completing his fourth marathon! Congratulations to McKenzie Bender, 2012 BBCS Graduate, who was awarded the "President's List of Scholars" for demonstrating outstanding scholarship with a perfect 4.0 grade point average in all work at the College of Coastal Georgia during the fall semester of 2012. Katie graduated form BBCS in 2009, and married DJ Allen in June 2011. Their son, Jackson, was born in 2012. Katie graduated from Atlanta Baptist College with a Bachelors Degree in Theology and a proficiency in Christian Elementary Education. They are faithfully involved in their church where Katie is the pianist and DJ is the worship leader. _As soon as Alex finished co-leading the 2011 summer soccer ministry team for Maranatha Baptist Bible College he quickly packed his bags and headed for Granada, Nicaragua on August 15, 2011. He signed up for a 10 month internship with Soccer Without Borders, an organization designed "to use soccer as a vehicle for positive change, providing under-served youth a toolkit to overcome obstacles to growth, inclusion and personal growth." They currently have 7 program facilities in 4 different countries. Sarah graduated from BBCS in 2002, then attended Clayton State University where she graduated in 2009 with a BA in English. During the spring semester of her senior year at CSU she had the opportunity to play on the CSU Travel Club Volleyball Team- a first for CSU. One of her favorite memories is playing in a huge tournament against UGA, USC, Auburn, Clemson, GT, Alabama, and many other schools. Since graduating from college, she has coached volleyball in GHSA at Our Lady of Mercy Catholic HS in Fayetteville, GA for two years, and is now at the Weber School in Roswell, GA. In the Spring of 2013, she will be coaching a 16s team for A5South in McDonough, GA, and she hopes to use this as a springboard into a college coaching position in the future. Sarah works full time for Delta Airlines in the Operations Control Center, and attends Buckhead Church in Atlanta. She lives in Vinings. After graduating from BBCS in 1995, Jennifer graduated from Pensacola Christian College in 1999 with a major in history and from the University of Georgia School of Law in 2002. She began college as an education major and was given the opportunity to spend a few years after law school teaching high school at Peoples Baptist Academy in McDonough. Since November 2006, she has worked as an attorney at the Newton County Public Defender’s Office. The office represents defendants in criminal court that cannot afford to hire an attorney. She has had the opportunity to try over 20 jury trials, including 2 murder cases and several armed robbery cases. She has been assigned to represent all of the agency’s clients charged with serious felony offenses, ranging from aggravated assaults and arsons to armed robberies and kidnappings. As we congratulate the 21st BBCS graduating class, we feature one of our first graduates. Judy Hoffman graduated from BBCS in 1991 and from Bob Jones University in 1995 with a BA in missions. Since then she worked at the Bill Rice Ranch for 10 years, graduated from Vanderbilt University with a Masters in Nursing, worked as a paramedic and then a nurse. She is currently a nurse practitioner in Thomaston, GA in the ER and urgent care. “I have worked primarily in Emergency Medicine but have also enjoyed time spent working with wounded soldiers at Fort Hood, Texas,” Judy says. She has also enjoyed her time in pediatrics and family practice. Katelyn, 2010 BBCS graduate, is attending North Georgia College and State University. She will be applying for the Education program in the Fall! Katelyn plans to pursue a career with special needs students, preferably in high school. She is involved in the Baptist Student Union at North Georgia, and has gone on several mission trips with them. She is also a resident's assistant at North Georgia. Amy, class of 2005, married in 2007. She and her husband have a daughter born in 2007 and a son born in 2010. They live in a small town in the southern part of the Appalachian mountains. Amy is a stay-at-home mom, and her husband is a full-time employee with Tyson Foods and part-time Youth Pastor at Shining Light Baptist Church. 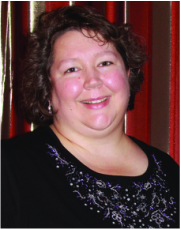 Upon graduation from BBCS in 2006, Melissa Petersen attended Bob Jones University. 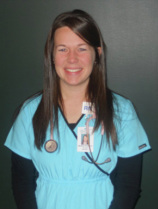 She graduated in 2010 with a Bachelor of Science in Nursing and currently works at Piedmont Fayette Hospital. In January Melissa enjoyed an 8-day medical missions trip with Operation Renewed Hope to Cambodia. Josh graduated from BBCS in 2009 and is a Junior undergrad student at Bob Jones University majoring in Computer Science. The Lord has blessed him allowing him to finish last semester with a 4.0 grade average! He is currently employed as an IT Service Desk Technician during the school year for BJU. Josh says, "I appreciate all the teachers back at BBCS and the hard work that they poured into my life while preparing me for college." Josh will be working at Northland Christian Camp this summer as a pre-teen counselor. Charlotte, class of 2001, married her soul mate, Derek Knowles, on April 26, 2008. She is currently a stay-at-home mom to their sweet girl, Ava Grace Knowles, who was born February 3, 2010. Destiny, from the class of 2009, is working close to 60 hours a week, and plans on start back to school in the summer! 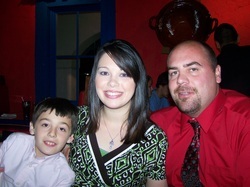 Ruth, from the class of 2002, graduated from Bob Jones University and married John Tessier in 2006. They have been blessed with 2 children, Jamie (August 2008) and John Jr. or JJ as they call him (March 2010). Ruth is a stay-at-home mom, and an AVON representative. Joshua, class of 1993, designs plumbing and HVAC systems for a small engineering firm in Gwinnett County, which specializes in healthcare facilities. He also serves as a deacon and the choir director/ songleader for his church, Harmony Street Baptist Church in Gainesville, GA . He has been very involved in the Hall County Republican Party for about 11 years and has volunteered in numerous political campaigns. He is considering a run for public office in the near future. Taylor, from the class of 2008, is currently studying architecture at Southern Polytechnic State University in Marietta, GA. He lives in Acworth. Jessica graduated from BBCS in 2005, and then went on to graduate from Bob Jones University in 2009. She has been teaching 5-6th grade at Condell Park Christian School in Sydney, Australia since. While living in Australia, she has gone jetty-jumping and climbed over the arch of Sydney Harbour Bridge, both pretty amazing and unforgettable experiences! :) One day a student in her class asked if he could bring a torch to camp. She responded "absolutely not" only to find out a few days later that a torch is a flashlight. True story. After graduating from BBCS in 1999, Michael attended Pensacola Christian College. He graduated in 2003 with a Bachelor Degree in Computer Science. That same year he married his high school classmate Amanda Jane Lewis. They now live in Alpharetta, GA with their children Madison born June 13, 2006 and Gavin born December 30, 2008. Michael is a computer programmer at DataScan Technologies a division of JM Family Enterprises and recently completed a certification as a Usability Analyst. 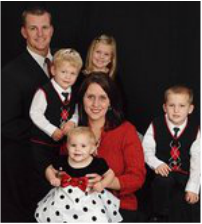 Stephanie, class of 1999, and her husband Joe, have been married for over 11 years and have 4 children: Joseph Jr. (10), Elizabeth (9), Isaac (6), and Aaron (4). She spends her days as a stay-at-home mom homeschooling all four children. Her husband teaches the teen boys Sunday School class, and she teaches the 5th and 6th grade Sunday School class at Harvest Baptist Tabernacle. They both serve in the AWANA program. Melody, class of 2007, is a senior at Georgia College and State University. She will be graduating in May 2011 and then plans to attend the University of Tennessee at Chattanooga for her Masters in Athletic Training starting in July. Her plan is to remain there for her Doctorate of Physical Thereapy. Anissa, class of 1995, graduated in 1999 with a Bachelor's degree in Middle Grades Education from Clayton State University. She recently earned a Master's degree in School Library Media from the University of West Georgia, and is working on a Specialists degree in Instructional Technology. Anissa works as the Media Specialist at Hampton Elementary in Henry County. She and her husband, Dale, live in Locust Grove. 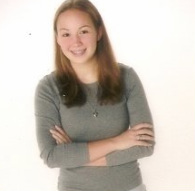 Kayla, class of 2006, graduated from Pensacola Christian College in 2009 with a Bible major/English minor. 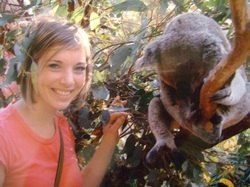 She is currently living in Greenville, SC, working in registrations at The Wilds main offices. Kayla is also working on a Masters degree in Marriage & Family Therapy from Liberty University Online. Rachel graduated from BBCS in 2002 and went on to graduate from Bob Jones University in 2006 with a degree in Elementary Education (Major) and Coaching (Minor). In May 2006, she married Chris O'Neal. Rachel taught first grade at Killian Hill Christian School for 3 years. In April 2009, she graduated from the National Personal Training Institute. In July 2010, she and Chris welcomed their first child, Christopher Lee O'Neal, Jr. (CJ) into the world. Rachel currently enjoys being a stay-at-home mom and also works as a personal trainer and Zumba instructor. 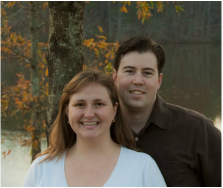 She and Chris are actively involved at Killian Hill Baptist Church in Lilburn, GA.
Julie, class of 2005, is currently a work-from-home business owner [Exterior Accents of Atlanta, LLC], has three children, and is faithfully involved in her church. 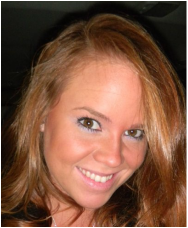 Kelly, class of 2010, is currently a Freshman at Kennesaw State University. She plans on applying to the School of Nursing in the fall seeking a B.S. degree in Nursing. 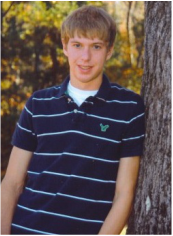 Joel Felten, a 2010 graduate, was awarded the President's List Award by Clearwater Christian College in Clearwater, Florida, for scholastic achievement during the 2010 fall semester. In order to be recognized for this award, honorees must have been enrolled full-time and earned a minimum grade point average of 3.90 on a 4.00 scale. Joel is a freshman Business Administration major at Clearwater. He also plays 1st base for the Clearwater Cougars. Lance Corporal Jon Morgan will graduate from Pensacola Christian College in May 2011 with a Bachelor of Arts Degree in Bible. This summer, he will participate in Mountain Warfare Training in northern California. 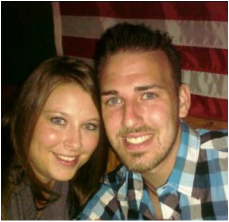 He has a projected deployment date of March 2012 to Afghanistan. 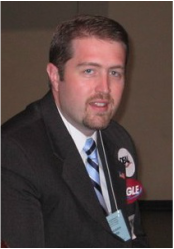 After graduating from BBCS in 2004, Ben attended Bob Jones University, graduating in 2008. 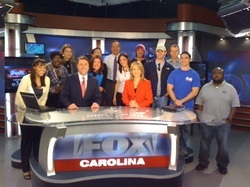 He works for Fox News in Greenville, South Carolina, as the producer for the 6:30 evening news. Joe Blanton, 2007 BBCS graduate, is in the Marine Reserves. His unit is based in Tampa, Florida. He is in his senior year at Clearwater Christian College and plans to graduate in December. Since graduating from BBCS in 2009, Rachel married Dan Stauffer in 2013. Dan is currently in the SC Fire Academy. Rachel graduated from BJU with her BSN in 2013 and has worked as an RN and Charge RN on the Medical-Surgical floor of Greer Memorial Hospital, which is part of the Greenville Hospital System. Rachel and her husband currently live in Greer with a backyard view of the mountains. Their German Shepherd, Belle and cat, Darcy keep them entertained. 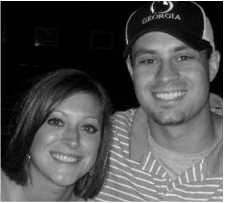 They are loving life as a family of two for now.is currently a sophomore 5-year nursing major at Bob Jones University. She will begin clinicals in the fall. Last summer she waitressed at the Wilds Christian Camp in North Carolina, and this summer she will be working there again as a craft shop worker. 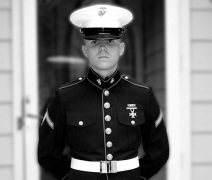 Jesse Pyle, class of 2005, entered the United States Marine Corp in May of 2010. He graduated from basic training in the honor platoon for Lima Company. After his mandatory infantry training at Camp Geiger, NC, he traveled to San Angelo, TX, for Military Occupation Specialties (MOS) training which lasted until Febuary 3, 2011. He is now a certified member of the Marine Corp Crash, Fire and Resue division. He reported on February 25, 2011 to his permanent duty station at the Marine Base in Iwakuni, Japan, where he will serve for the next 2 years. Jesse has found his purpose in life: protecting and serving in the United States Marine Corp. He is happy with his choice and excited to see what is in store for him in the next few years. Since graduating from BBCS in 2001, Robyn enlisted in the United States Air Force. She is now an active duty reservist and enjoys every day of her job as a military police officer at Dobbins Air Force base in Marietta, GA. Robyn has a son who is 7 years old and a daughter who is 6. Amanda graduated from Bob Jones University in 2006 with a bachelor of science degree in International Business. She works as Operations Manager at The Knight Group. In January 2011 she married Thomas Statham of Atlanta. They attend Line Creek Baptist Church in Sharpsburg where they are active in the youth ministry. Angela graduated from BBCS in 1994 with many sports awards to her name. She then went on to graduate from Pensacola Christian College in 1998, majoring in Physical Education with a minor in English. She has been able to use her degree to teach in several Christian schools over the past 11 years. Angela is mom to four children, two boys and two girls. Her husband is headmaster of a local Christian school where she subs occassionally and has had the opportunity to be the special speaker for the girls Spiritual Emphasis Camp. She and her husband are actively involved at Pinecrest Baptist Church where at least one of them has served in the following areas: Singles Sunday School leaders, AWANAS, Word of Life, choir/ensemble, nursery, rescue mission, missions conference team, deacon, and children's church. When she has time, and as the Lord leads, she writes the devotional blog Where He Leads. 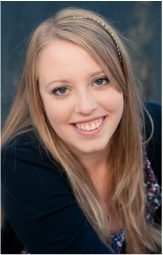 Sarah, a 2010 BBCS graduate, is attending Pensacola Christian College studying Business Management. Raegan is currently attending Clayton State University and plans to graduate this May! "Finally." She says, "I will graduate with a degree in Middle Grades Education and plan to teach Mathematics." Amy is a busy stay-at-home mom of four boys, (Nathaniel-10, Zach-8, Aiden-5, and Caleb-3). Amy married her husband, Jeff in 2003 and they are now living about an hour north of Philadelphia. Jeff is the music teacher at Calvary Baptist School. Since graduating in 1999 from BBCS, she married her high school love, Aaron Prillhart, in 2002. They are blessed to have two beautiful children, Josalynn (6), born in May 2004, and Jacob (5), born in December 2005. Joanna has earned a Bachelors Degree in Elementary Education and Music Education by attending first at Pensacola Christian College and then finishing at Atlanta Baptist College. She is now working on her Masters in Elementary Education. She has taught in many different Christian schools in the area in the following grades: K2, K4, 2nd, 3rd, 5th, and 6th. She says, "God has truly blessed me and my family and I know His wonderful plan for my life started, in part, by my education at BBCS." Kelli is attending Middle Georgia College and majoring in Air Traffic Management. After this semester, she will only have one more to complete before she can start applying to the FAA for air traffic control jobs. She plans to graduate this December (2011). Last month she went on a mission trip to Haiti with BCM (Baptist Colligate Ministry) at school. She says, "I'd been on several mission trips in high school, but this was my first trip since I began attending college. It was an amazing experience that I will never forget." Elisabeth is teaching Social Studies and coaching girls' volleyball at Youth Christian School in Powder Springs, GA.
Stephanie is in cosmetology school at Georgia Career Institute. Ashley helps people save money on car and home insurance at Jack Russell Insurance. Philip, class of 2004, is working for Wells Wheeler State Farm in McDonough as a marketing manager and just got his property and casualty insurance license. Beth got married in January 2007 to her best friend and love of her life! 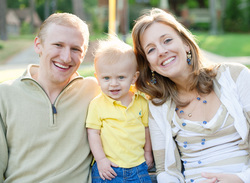 They had their first child, Hayden Randall Collins, in October 2010. She currently works from home in the medical billing profession. Chad graduated from Pensacola Christian College and Pensacola Theological Seminary and married Michelle Eddings from Sacramento, CA. He is currently serving as full-time staff at PCC and a father of 3 - Aleithia, Karis, and Justice.